John Hargrove is a partner in the Birmingham office in the Labor and Employment and Construction and Procurement Practice Groups. 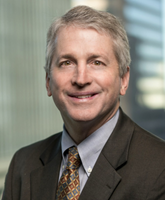 He is chair of the Labor and Employment Group and is a Fellow in the American College of Labor and Employment Lawyers. He also is listed in Chambers USA, The Best Lawyers in America, and Alabama Super Lawyers. John regularly represents public and private companies in mining, construction, manufacturing, medical, communications and warehousing industries, among others. He also represents municipal and quasi-public organizations such as police and fire departments and school boards. John also has represented several nonprofit agencies, ranging from national sports organizations to small local charities.